Rewards can get complicated, which is why cash sometimes is still the best option. Getting a cash back credit card can help you keep more of your money on things you normally spend on anyways. Use the tool below to find the best credit card to get the most cash back based on your unique situation. 3% at U.S. supermarkets, up to $6,000 per year in purchases 2% at U.S. gas stations & select U.S. department stores. 1% on other purchases. 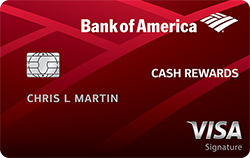 Earn $100 Back after you spend $1,000 in purchases on your new Card in your first 3 months. You will receive the $100 back in the form of a statement credit. 1% cash back on every purchase, 2% at grocery stores and wholesale clubs and 3% on gas for the first $2,500 in combined grocery/wholesale club/gas purchases each quarter Online $100 cash rewards bonus after making at least $500 in purchases in the first 90 days of your account opening. Earn unlimited 1.5% cash back on every purchase – it's automatic. Redeem for cash back – any amount, any time. Earn a $150 Bonus after you spend $500 on purchases in your first 3 months from account opening. 2 % cash back at gas and restaurants on up to $1,000 in combined purchases each quarter. Plus 1% cash back on all other credit card purchases. Discover matches all the cash back you've earned at the end of your first year - automatically. Only for new cardmembers. 2 points per net $1 spent on every purchase, Earn unlimited 2% cash back Earn a $100 bonus. Every time you spend money at the store, you can get a little bit back. But that doesn’t happen if you use cash or your debit card. The cash back in this case comes from cash back credit cards. Before you sign up for your next card or go spending money, it is important to understand how cash back cards work and how you can earn big with top cash back credit cards. How does a cash back card work? Cash back credit cards typically pay you back a percentage of purchases made with that card. At the lower end, some cards pay 1% cash back from each purchase. On the high end, you may be able to find a flat rate of 2% cash back. Some cards offer even higher cash back, but only on specific purchase categories like supermarkets, department stores, or gas stations. Anytime you swipe your card and your transaction is approved, several companies get a cut of the pie. The merchant pays around 2% to 3% of each transaction in fees. Some of those fees go back to the bank that issued the card, and some banks choose to offer a portion of that fee as cash back to card holders and customers like you. The best cash back credit cards depend on your specific needs. Follow this guide to understand what you should look out for when on the hunt for the best cashback credit cards. The first decision to make when looking for the best credit cards for cash back is how each card pays cash back. Flat rate cards are most common and offer a fixed percentage cash back for each purchase. If you have a cash back credit card that pays 1% cash back and you make $1,000 in purchases over the course of a month, you would earn $10 in cashback that month. With a card that offers 2% cash back, you would earn $20. Overall, these cards are fairly simple to understand. Other cards, however, are a bit more complicated. You can find several rotating category cards that offer more cash back, but only on specific purchases. The best credit cards for cash back in this category generally offer a bonus category or two that changes every three months. One popular card offers 5% cashback on purchases at grocery stores and drug stores this quarter and 1% on all other purchases. 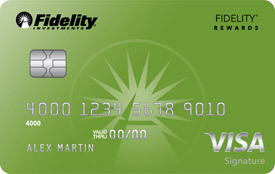 If you use this card strategically, you can earn at the 5% rate on up to $1,500 in purchases per quarter. That gives you an annual limit of $300 at the 5% rate plus an unlimited 1% everywhere else. The best credit cards for cash back each offer slightly different features, so it is important to do a little research when choosing your new cash back rewards card. 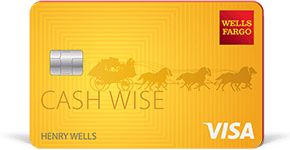 Each bank offers different perks and benefits, so make sure you choose a card that best meets your needs. One common area for benefits is purchase insurance and protection. Purchase protections guarantee you’ll get your money back if a new purchase is stolen or accidentally damaged within a specific time frame after buying. Some cards also offer an extended warranty on top of the manufacturer's warranty and will pay you back the difference if a price drops within a short period after buying. The other major area for benefits is travel. A handful of cards offer travel protection and insurance. If you are traveling and run into a major unexpected issue, these cards give you a phone number to call for support, access to cash if your wallet was stolen, suggestions for medical services, and possibly even emergency evacuation from an area experiencing a major disaster. This type of insurance also protects you if you need to stay home instead of going on a trip you paid for with the card due to a family emergency. These cards also often include rental car insurance at no additional charge. Annual fee- Most cash back rewards cards do not charge an annual fee, but that is not the case for all cards. While it may be tempting to immediately dismiss any card with an annual fee, depending on your habits you could actually be better off when paying. For example, if you could earn an extra $300 in cash back per year with a card that charges a $100 annual fee, you are still ahead by $200 even after paying the fee. Foreign exchange fees- Frequent international travelers would be upset to get home and see 2% to 3% in fees from every transaction that takes place abroad. Cards with no foreign exchange fee process the transaction and convert to dollars without the additional markup. Late and missed payment fees- If you always pay your bills on time, you can skip this fee. Late and missed payment fees of up to around $30 per occurrence are common across all credit cards. Cash advance and balance transfer fees- There are cards out there that charge no fees for balance transfers, but you’ll be hard pressed to find a card that allows cash advances without an additional fee. Be aware that these activities may incur additional fees. The InvestmentZen team works hard to identify the best credit cards for cash back. Note that the best cash rewards credit card may not be the highest cash back credit card. Taking into account your typical spending habits, you may find that a specific rotating category card is best for you. You may also find that a flat rate cashback card makes the most sense. Whatever you do, make sure to take into account the rewards, the fees, and the benefits. Once you find a great card that matches your needs, you can spend knowing you are always putting a little bit back in your pocket with each purchase.